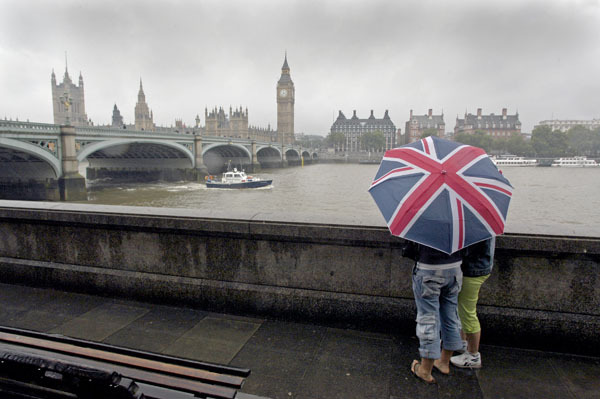 I was walking along the south bank of the Thames on a typically gloomy day in September and spotted these two women huddling under a union jack umbrella. The souvenir stall on Westminster Bridge was selling them, and had obviously made a killing – as there was an unwittingly patriotic procession of bemused tourists returning from the London Eye all the way back to Westminster tube station. I don’t know why, but I assumed that these two were Italian – maybe it was their animated conversation! His reply said that the picture made him feel homesick!